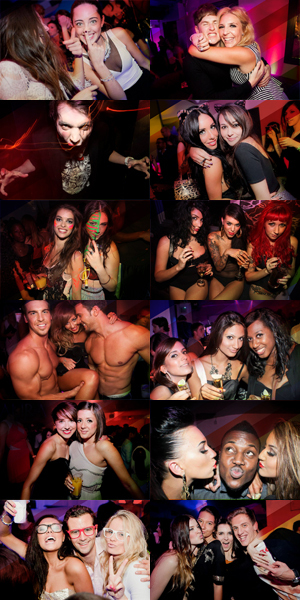 Promoters - The Hottest London Nightclubs - Get on the Guestlist & Book a table! Have you ever wondered through one of our clubs and wondered just how to become one of those promoters dancing on a table having a great time surrounded by friends and bottles upon bottles of expensive bottles of alcohol? Luckily we are currently recruiting new promoters to join our ever expanding team based within some of Mayfair’s most exclusive high end nightclubs. It’s exciting work, can be very rewarding, and most of all is probably one of the most fun jobs you can have. By working with us you automatically get access to London’s premier nightclub venues where you can often bump into celebrities, socially influential people and famous DJ’s. We pay you to party hard with your friends (some of our promoters earn £300+ per week). Quickly you will find that everyone starts to come to you as their social access to the best parties around. It’s all about being social, getting out there and making contacts. There is undeniably a repeated pattern in our industry; Those who are the most confident do the best! Get in contact with all of your party people and invite them to this weeks event you are currently pushing. Arrive to the venue and help your guests inside the club on your guestlist and guide them to our company table to show them a good time. Keep your guests happy with a drink in their hand (we provide bottles of Vodka to keep them entertained) and a smile on their face. Working as a team with the other promoters on the team. Helping someone else out is always good as they will return the favour in the future. Party harder than anyone else and deal with the hangovers like a champion! Things can get pretty hectic sometimes as a promoter and you will need to often think fast. Our other team members are always there to advise you on the best thing to do, but once we’ve fully trained you up you will be more than confident to deal with any issue that comes your way. Want to get some further information on joining the team? Apply via the button below or just call the office on 0207 2052501. If you’re emailing us then please include your CV and two recent profile pictures.